Float is the term used to represent duplicate money present between the time a deposit is made and when the deposit clears the bank. Float is most apparent in the time delay between a check being written and the funds to cover that check being deducted from the payer’s account. Bank float is the time it takes to clear the funds, from the time they were deposited to the time they were credited to the depositing bank. Customer float is defined as the span of time between the deposit to the time the funds are released for use by the depositor. When managing cash disbursements, a company should endeavor to increase the amount of time present in the disbursement cycle. check kiting: a form of check fraud, involving taking advantage of the float to make use of non-existent funds in a checking or other bank account. The term float is used in finance and economics to represent duplicate money present in the banking system during the time between when a deposit is made in the recipient’s account and when the money is deducted from the sender’s account. Float is also associated with the amount of currency available to trade – i.e., countries can manipulate the worth of their currency by restricting or expanding the amount of float available to trade. Float is most apparent in the time delay between a check being written and the funds to cover that check being deducted from the payer’s account. Once the recipient, or payee, deposits the check in the corresponding account, the bank immediately credits (increases) the payee’s account, assuming that the payer’s bank will ultimately send the funds to cover the check. Until the payer’s bank actually sends the funds, both the payer and the payee have the same money in their accounts. Once the payee’s bank notifies the payer’s bank of a pending check, the duplicate funds will be removed from the payer’s account and the checks will be considered to have cleared the bank. In check clearing, bank float and customer float are present. Floating Cash: In cash management, float can be utilized to make use of cash on hand for as long as possible. Bank float is the time it takes to clear the funds, from the time they were deposited to the time they were credited to the depositing bank. Customer float is defined as the span of time between the deposit to the time the funds are released for use by the depositor. The difference between the bank float and the customer float is called negative float. Negative float is used by the bank as the overnight investable funds. Float can cause marginal changes in the money supply. Before electronic check clearing, bad weather or communication problems often caused float to significantly increase, as the clearing of checks was delayed. Another aspect of float time is its use to defraud, commonly known as check kiting. Mail Float: Time spent in the mail. Clearance Float: Time spent trying to clear the bank. Processing Float: Time required to process cash flow transactions. A company must balance its need for quick cash collections with the needs and desires of its customers. Specific collection techniques include letters, telephone calls, faxes, emails, and legal action. Wherever possible, a company should try to collect payment immediately as products or services are delivered. A company may set up a lock box service with their bank for receiving customers’ payments. invoicing: the production of a commercial document issued by a seller to the buyer, indicating the products, quantities, and agreed prices for products or services the seller has provided the buyer. Our records indicate that a balance of $ 4,650.30 is over 90 days past due. We have sent monthly statements and reminders several times, but we have yet to receive payment or any explanation as to why payment should not be made. Please review this matter immediately. I will call you in the next five days to arrange payment. The overall collection process should be pro-active and preventive. For example, wherever possible a company should try to collect payment immediately as products or services are delivered, i.e., receive payment in cash. This eliminates the need for invoicing and follow up collection techniques. A firm should always require deposits from customers that have a history of making late payments. It should use credit applications to weed out bad customers, and include a clause in the credit application that states all collection costs are reimbursed by the customer on delinquent accounts. 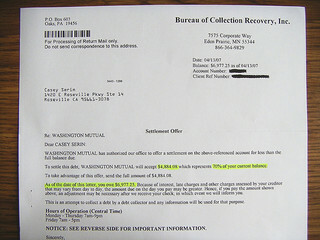 Example Collection Letter: A sample collection settlement letter. Lock box banking is a service offered to companies by commercial banks that simplifies collection and processing of account receivables. In general, a lockbox is a Post Office box that is accessible by a bank. A company may set up a lock box service with their bank for receiving customers’ payments. The company’s customers send their payments to the PO box, and the bank subsequently collects and processes these payments directly and deposits them to the company’s account. Because the bank is making the collection, the funds that have been received are immediately deposited into the company’s account without first being processed by the company’s accounting system, thereby speeding up cash collection. Another benefit of the lockbox service is that a company can maintain special mailboxes in different locations around the country. A customer then sends payment to the closest lockbox. How a company manages various disbursements and current assets can have a significant impact on its cash flows. One obvious trend in payroll management is to implement a flexible work force since the flow of work fluctuates. Purchasing practices, such as renting as opposed to buying or buying out of season, can help a company maintain and generate cash flow. Inventories have several hidden costs that can drain cash flow, including storage, insurance, spoilage, handling, taxes, and financing. A company should make sure it does not over insure the business. outsourcing: The transfer of a business function to an external service provider. 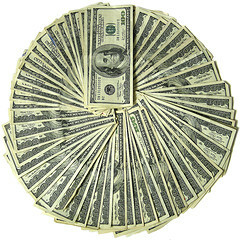 Cash Disbursements: Cash payments are vitally important to manage in order to maintain a successful business. How a company manages various disbursements and current assets can have a significant impact on its cash flows. There are several problem areas to watch out for, such as payroll, purchasing, inventories, and insurance. Payroll is a hefty cash outflow and requires special attention. One obvious trend in payroll management is to implement a flexible work force, since the flow of work fluctuates. Outsourcing and temporary workers are often part of a flexible workforce. However, a company must retain a full-time workforce for core activities. A firm can also increase payroll float times by simply distributing payroll checks after the point when banks will clear checks. 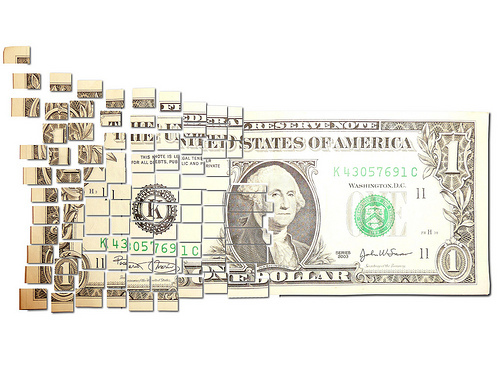 Flexible purchasing practices can help a company maintain and generate cash flow. A company may consider renting certain items as opposed to purchasing. A manager may ask, do we really need this item, and how often will we use it? If practical, a firm can order items out of season when prices are low. Finally, a firm may consider using credit cards to make purchases since this will allow more time for making payment. Inventories have several hidden costs that can drain cash flow. These costs include storage, insurance, spoilage, handling, taxes, and financing. A company should get rid of inventory that is not moving. Obsolete inventory should be removed immediately. A firm may also find new ways of disposing of inventory. For example, it is better to sell inventory at costs than not at all. The overall objective is to maintain inventory levels at a profitable level. A company should make sure it does not over insure the business. A firm should purchase insurance in group packages to obtain the lowest premiums. It should start by covering the largest risks first. It should then structure as high a deductible as is affordable. A company should avoid duplication and excessive insurance and shift certain costs, such as health insurance, to the employee through higher payroll deductions. Insurance should be used to cover risks that are material but occur infrequently.